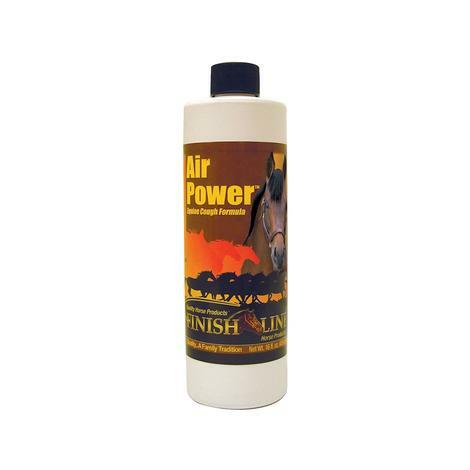 Finishline Air Power Natural Cough Syrup 16 oz. Finish Line Air Power Natural Cough Syrup is an all-natural aid in the relief of minor coughs due to irritation. This cough syrup offers symptomatic relief for coughs, allergies, or heaving horses. 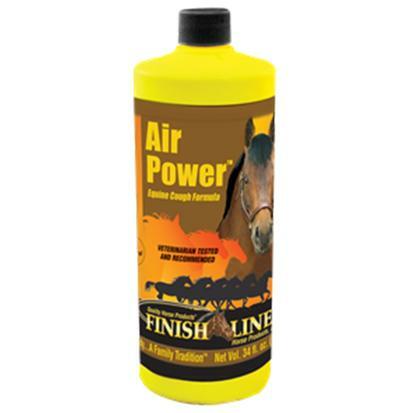 Finish Line Air power syring is an all natural cough formula. 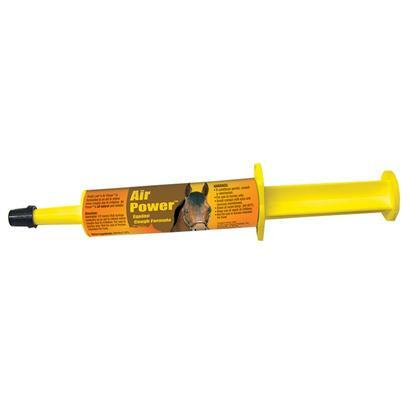 Most of the time, a single dosage of Air Power will help prevent a horse from coughing all day. You will only use about 25% the amount of Air Power compared to the usage needed with most other products. It is also safe for pre-event,race, and performance, as it will not test.